That brought another law into play: the Anti-Kickback Statute, which prohibits paying money in order to get referrals for services covered by federally funded programs. The statute is intended to ensure that a doctor’s judgment isn’t clouded by under-the-table financial incentives. The U.S. Justice Department announced in April 2015 that HDL and Singulex agreed to multimillion-dollar settlements with the government, with HDL paying $47 million and Singulex paying $1.5 million. Federal attorneys said the large settlement was proof of their determination to work with whistleblowers who come forward to defend the integrity of the health care system. 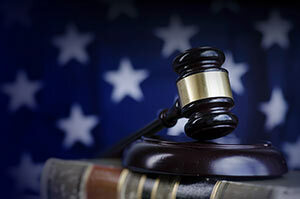 The case was also cited as a victory for the Health Care Fraud Prevention and Enforcement Action Team (HEAT), which was put into action in 2009 by the U.S. Attorney General and the Secretary of Health and Human Services. The partnership between the two offices was formed to target Medicare and Medicaid fraud, and since its establishment, HEAT has recovered more than $23.9 billion through False Claims Act cases. The three whistleblower cases in South Carolina prompted a federal investigation, and HDL CEO Tonya Mallory was sued by the U.S. federal government, along with four other defendants named in the case. This action followed the earlier settlement from HDL and Singulex and could mean Mallory will be responsible for paying millions in civil penalties. The Department of Justice got involved in the process early, stepping into the South Carolina whistleblower suits and then continuing its investigation and working to hold the company heads personally responsible for the systematic fraud perpetrated through the kickback scheme with physicians. Those who suspect a fraud is being perpetrated against the U.S. government, and against taxpayers, are well advised to seek the advice of a law firm experienced in preparing whistleblower complaints. Government lawyers often struggle under large case loads, and when the relator’s (whistleblower’s) disclosures are well drafted by a private law firm, the government is more likely to intervene in the case and bring their resources to bear against the defendants.